There's generally a lot of interesting (if not always entirely original) stuff happening in Sonik Omi's music. 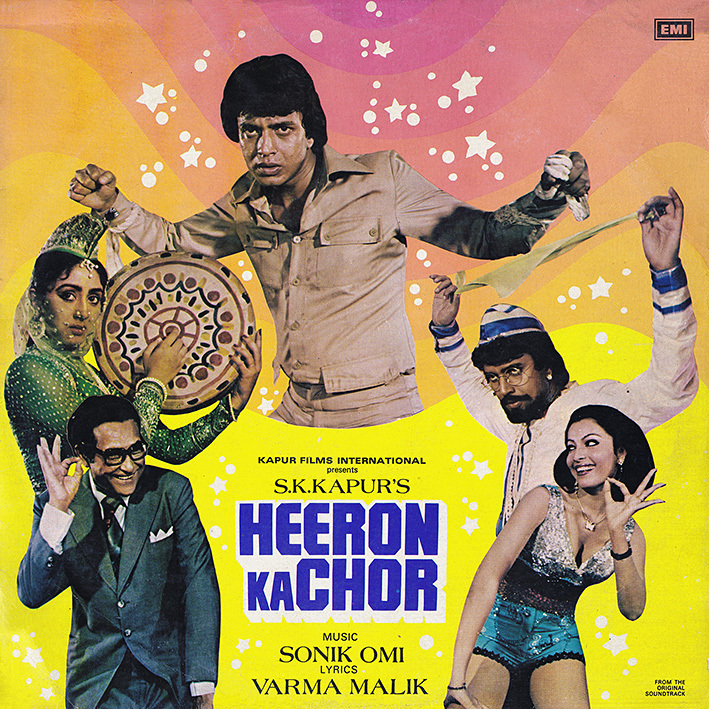 'Heeron Ka Chor' is one of only a few of the duo's 1980s efforts I've come across, and while the songs aren't necessarily very memorable this too has a lot going for it. Like some excellent dancefloor-friendly grooves, spread out through the album. A trio of tracks stand out. 'Ye Jawani Hai Meri Jaan' effectively melds Latin and Arabic influences and is infectious as hell. String sections are obviously common in Bollywood film songs, yet I can't recall many featuring an actual fiddle solo. 'Kuchh Aise Ashiq Saamne' has a compelling, vaguely psychedelic and sort of sleazy vibe (Helen sporting a whip contributes to that); the arrangment is riddled with neat details. And 'Phoolon Se Hai Meri Dosti' has a cool, double bass and percussion driven jazz thing present, augmented by 70s/80s synth touches. Additionally, the opening disco number 'Mera Dil Dhak Dhak Dhak' is a beat heavy stomper (you'll need to get past its rather cringeworthy English introduction), and 'Title Music' is almost (but not quite) up there with the best Kalyanji Anandji action movie themes. So all in all, despite there not really being any melodies to hum, a pretty ace soundtrack. Hi PC, do you watch the films of every soundtrack you posted on this blog? If so, what is your favorite film? No, I seldom do. 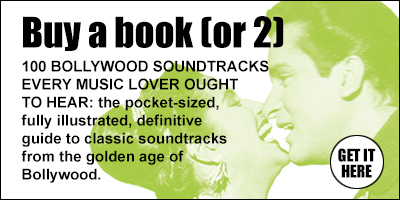 I'm afraid I've only seen a small handful of the ones I've posted soundtracks to. I love the music; the films not so much. Mostly by chance; stumbling over clips on Youtube or elsewhere online, or other enthusiasts tip me off. are you willing to get it? Nope, will almost certainly give that one a miss. I came across "Ye Jawani Hai Meri Jaan" before, on one of Saregama's endless reissue CDs which had no integrity for original artwork or track listings. I think that track is glorious, and a magnificent showcase for Bhosle and especially for Rafi, who was enjoying an all too brief resurgence in popularity when he was taken from us all. No style was beyond his mastery.